In January 2012, I met a new-to-me author named Lisa Wingate at an author event in Jefferson, Texas. She was very nice, friendly & approachable - and interested in learning more about Funky Finds. That always makes people instantly awesome in my book! I purchased her book Dandelion Summer & instantly became a fan. I continued reading her books & have loved each one that I've read. 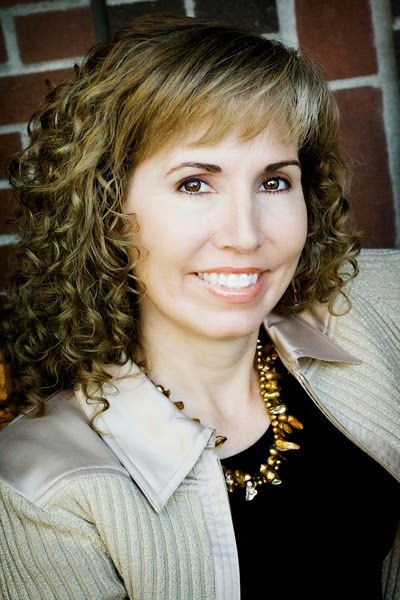 Based in Waco, Texas, Lisa writes great book after great book. This year alone, The Prayer Box, one of my absolute favorites, has been shortlisted for several book awards AND she recently signed a film option on one of her books! This summer I was fortunate enough to be part of the Sisterhood of the Traveling Book. Readers throughout the country were assigned to a circle and, at a designated time, received one of twenty advanced copies of The Story Keeper, Lisa's newest book. We were to read the book within a two week period & write our comments in the book as we went along. I have never written in a book as I read, but it was a great experience! I loved reading the other readers' comments & including my thoughts. Here's a quick synopsis of The Story Keeper: When successful New York editor Jen Gibbs discovers a decaying slush-pile manuscript on her desk, she has no idea that the story of Sarra, a young mixed-race woman trapped in Appalachia at the turn of the twentieth century, will both take her on a journey and change her forever. Happy with her life in the city, and at the top of her career with a new job at Vida House Publishing, Jen has left her Appalachian past and twisted family ties far behind. But the search for the rest of the manuscript, and Jen's suspicions about the identity of its unnamed author, will draw her into a mystery that leads back to the heart of the Blue Ridge Mountains . . . and quite possibly through the doors she thought she had closed forever. This book is a wonderful tale of guilt, healing, dealing with the past & moving forward that gripped me from the start. I did not want the book to end because I enjoyed it so much! I highly recommend this fantastic tale to anyone & everyone. And I am pleased to announce that one lucky reader will receive a free signed copy of The Story Keeper!!! PRIZE: One lucky winner will receive a signed copy of The Story Keeper. TO ENTER: Like Lisa Wingate's Author Page on Facebook & leave a comment noting that you have done so. ADDITIONAL ENTRY: Subscribe to Lisa Wingate's email newsletter & leave a comment noting that you have done so. ADDITIONAL ENTRY: Follow Lisa Wingate on Pinterest, then leave a comment noting that you have done so. Giveaway ends at 6pm CDT, Friday, September 12th, 2014. I am a fan of Lisa Wingate on facebook! Liked Lisa on FB, Subscribed to her newsletter and Followed on Pinterest!! Been wanting to read The Story Keeper since I first saw it! I'm signed up for her newsletter! I am following her on pinterest! I liked Lisa on facebook, I signed up for her newsletter, and I am following her on pinterest. The snippet of her book in your article has already truly peaked my interest and I would love a copy. Lisa's stories are rich, absorbing, enchanting, engaging... I could go on and on. 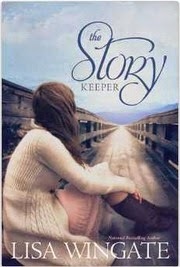 I look forward to reading The Story Keeper and would really like to win a copy. Looking forward to the release of this book! Loved the others I've read so far (3 total) ... you are becoming a favorite of mine. Liked your FB page after reading The Prayer Box, just signed up for your Newsletter. I am a fan on facebook, following her on Pintrest and signed up for her Newsletter. I have enjoyed her books for a couple of years now. A friend and I are sharing our books on Kindle and spreading the word about her. Lisa Wingate's page liked on Fb. Thank you for the opportunity to win a copy of the Storykeeper. I am already a fan of Lisa's on Facebook. I am now following her boards on Pinterest. Liked Lisa on FB, Subscribed to her newsletter and Followed on Pinterest!! I would love to win her latest book!! I liked Lisa on FB & subscribed to her newsletter! I am a fan on Facebook! :) - Katy E.
I subscribed to her news letter and liked her Facebook fan page. I have an active pinterest account, but just got locked out trying to recall my password, so, two out of three are done! I am and have been on the newsletter list and have liked her author page. i like her books very much and woudl like to read this one. I liked Lisa's page on Facebook, I subscribed to her Newsletter, and I am following her on Pinterest. I love her books. I hope I win. I'm a fan on Facebook & signed up for the newsletter! I Like Lisa Wingate's Author Page on Facebook. I am subscribed to Lisa Wingate's email newsletter. I am now following Lisa Wingate on Pinterest. Thank you. I didn't know she was on Pinterest. I would love to win a signed copy of The Story Keeper. I liked her page on Facebook. This is a wonderful story. It's on my Keep-Forever Shelf, and if I win this copy it's going to a lady I know who makes goat's milk soap... I think she'd love the story and smile at the goat soap reference. I follow Lisa on Pinterest. Thanks for the opportunity. I have read Lisa's books and enjoyed them for a long time. I am a friend on Facebook. I liked Lisa Wingate's author page on FB. i signed up for Lisa Wingate's email newsletter. Liked AND linked on Facebook! Thanks for writing with excellence. And now I'm following on Pinterest. Yes, I am a fan!